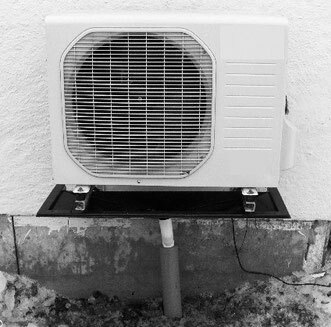 All air-source heat pumps generate large amounts of condensation water, often up to 20 litres/day. During minus degrees the condensed water freezes to ice. This ice can cause damages to the foundation of the house and cause malfunctioning of the pump – which then needs to be de-iced manually. BPAP's drip tray with a built-in heated enclosure ensures that ice does not form at all. Our conductive drip tray enclosure is quick and easy to install and is suitable for all air-source heat pumps on the market. The installation kit includes: tray, a conductive enclosure placed into the tray, 1,5 mtr cable, transformer (230V/24V) and 40 cm insulated pipe.